In the precious biographical details of Dadasaheb Phalke’s life that we know, he gave up on cinema after making some 95 films and scores of shorts and went to Banaras. He wrote a play called Rangbhoomi, with a strong autobiographical slant. 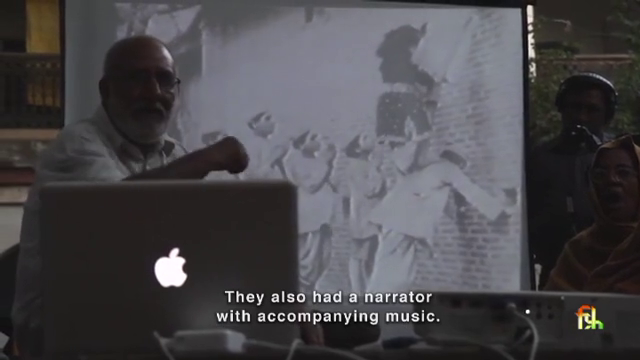 Kamal Swaroop’s documentary on this phase of Phalke’s life, he says, is an “invocation of that text.” It comes as a puzzle, an intriguing and challenging ontological rebus of various phases of cinema and of representation. It is a multilayered palimpsest of what cinema was and has become, with none- too-resolute conclusions. It is an exercise in artistic humility as it is a profile of a pupil who takes the threads of his teacher to move the discourse forward. If you are a filmmaker, this is a must-see. If you are a film student, it is an essential learning phase before you move on. If you are a cinephile, think of this as a pilgrimage with unlimited rewards. In a documentary film, Swaroop must look for actualities. He searches in the city of Banaras. Tracking down old newspapers for Phalke’s activities and sites where Phalke may have worked, he presents a history that is slipping away, both in the older interlocutors who must preserve it and in the sites that are fast becoming archeological relics. There is a little glimmer of hope in a group of students who think of Phalke’s life and work as a challenge to be deciphered, to be made relevant to their times. These students and the researchers are the only safeguards against that fading archive of our culture. The people and the city, so entrenched in the historical and mythological past provide all sorts of intersections for Swaroop to meditate on the questions of reality, of the possibilities of representation. As if to find a world that must be beyond all of this, a world where new questions can be formed, he constructs a remarkable replica of the Ghats of the city, using them variously as spaces on which to write images as much as spaces that attempt to speak for what is un-representable. 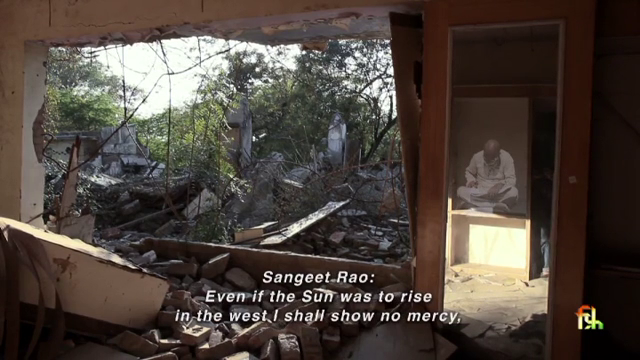 He meets the sadhus of the city who question the everyday foundations of belief and reality. He spends time with a generation that could be nearly as old as Phalke’s cinema or at least could conjure that age well. Throughout, the quest is the same as that of the protagonist of Phalke’s play. Sangeet Rao questions the traditions to insist that theater bow to Brahma, the power that creates the universe, creating the real and the meaningful at the same time. It is a search for that.